What’s that coming over the hill is it a monster? Nope it’s only Nessie ! So 1st update of 2014 so best make it a good one haha yeah right have no doubt it will be the same old tripe !!! So where to begin ? Well as Christopher biggins used to say safari so goody. After what can be described as a moist winter spring has finally sprung and we are left with the now customary windy days …… Joy !!! Despite all this I think my report card should read C+ must try harder !! A stone heavier than this time last year ( oh lord) but still managing to bang out some half decent miles albeit I seem to be a tad faster . Imagine what would happen if I lost weight !!! Still getting beasted by nially chops and uncle J up hills so nothing new there either . Undoubtedly the highlight of the year so far was the Etape Ness which was rather surprisingly held around Lake Ness ! Yes I know it’s a Loch so you don’t need to correct me but deep down we all know it’s a Lake !! Saturday evening it was a trip to the station to collect a fellow Strava and LEJOG legend the one and only Pilko . Before our hosts cooked us an amazing evening meal of curry . 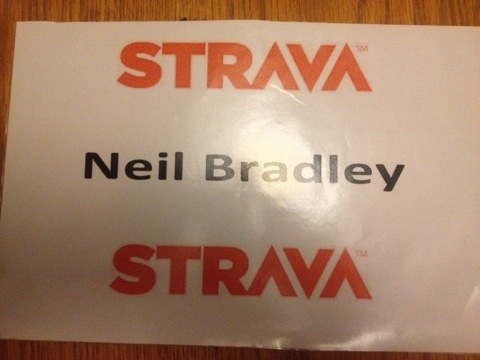 Apparently all the greats from the cycling world eat curry before an event ? Sunday was of course Etape Ness day which would mean a silly o clock wake up call to ride to the start . Rather strangely the awful weather never materialised so there was disappointment all around when it turned into a fine day !! The Etape route followed the Lake from Inverness and was stunning it was also closed roads which is also stunning , why can’t all sportives be like this ?? As we flew along the lake shore in a peloton of about 40-50 riders it truly was an amazing feeling quite possibly a top 3 feeling . All it needed was some gormless fool to slip his gears and the lot of us would be down on the tarmac . Sadly I was that gormless fool but luckily our host Glenn was alert to my silliness and am pleased to confirm no one was hurt in the making of this blog ………. Obviously we had garmin problems as Glenn feels it neccasary to have garmin problems whenever we do an event but it’s his way so let him be !! The climb up and over Glendoe is a beast and climbs up in three sections but well worth the effort as all climbs seem to be allegedly . After a siesta it was time to sample fat Sunday ( apparently only fat people go out in Inverness on a Sunday ) and listen to Pilko wax lyrical about his huge wife ? Who knew she was six and a half foot???? Beers were drunk & food was wrongly served and Half eaten then swapped in restaurants but did we complain? 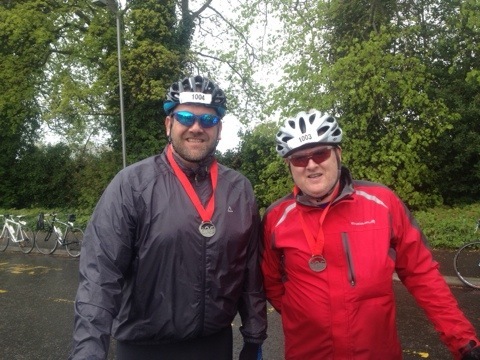 Hell nope of course not and we survived like brothers in arms who had cycled together the event they call Etape Ness. The best of times and many thanks to our hosts Glenn & Carole who looked after us with amazing hospitality . 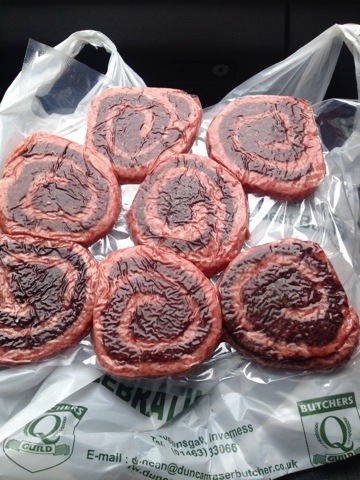 Also need to thank Harry Gow for the empire biscuits and I really look forward to the day when you are Scottish bakers of the year again and also the butchers in the town for delighting me with black and sausage roulade !!!! No thanks must go to Pilko for suggesting a recovery ride on the Monday although I did get a nice pic …………. Next event Dartmoor classic in June ………just like that !!! 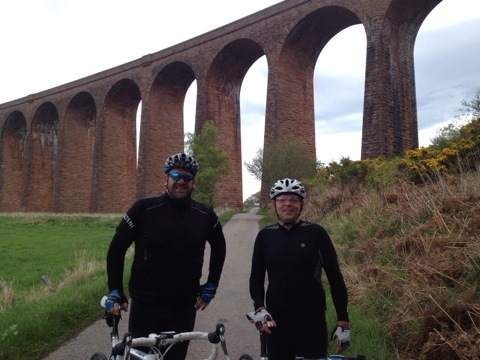 This entry was posted in Training and tagged etape ness, Lejog, strava. Bookmark the permalink.